Swiss watchmaker Hublot has announced the launch of its digital boutique. The service, designed to complement the brand’s in-store experience, will first be offered in the United States before being rolled out worldwide at a later date. Customers can access the experience from Hublot’s website, where they request to be connected to the digital boutique and select the closest physical store location. 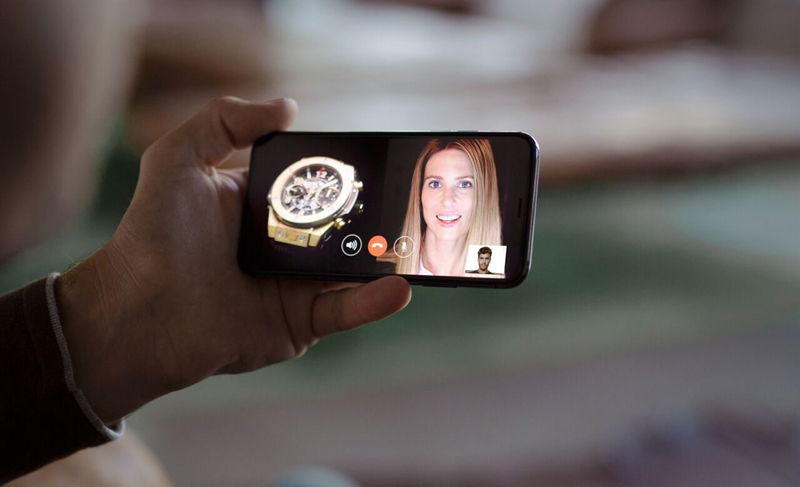 From here, users can choose to either be connected in real time with a manager at the selected boutique via FaceTime or Skype, or schedule an appointment for another day. Once connected, customers will be able to interact with a sales advisor who will present the desired product with the support of an interactive terminal and answer any questions that they may have. They will then be invited to come in store to continue the experience and sales advisors will also send personalized information about the chosen product digitally. If the customer wishes to purchase the product, they can confirm this online and will then receive a call from the boutique in order to finalize the sale. In a release, the brand described the new service as “a step that lists Hublot among luxury brands on the road to an e-commerce platform”, underscoring the fact that it is still a few steps away from a full-fledged online store and is currently intended less as an alternative sales channel and more as a way of facilitating customers’ interaction with Hublot and its products. In this way, the watchmaker seems to be attempting a delicate balancing act between tech-enabled convenience and the kind of exclusive, personalized service that still plays an essential role in a luxury brand’s appeal. Certainly, Hublot CEO Ricardo Guadalupe seems keen to highlight that the new digital boutique aims to reconcile convenience and bespoke customer service, bringing them together rather than sacrificing one for the sake of the other. "Our availability and our willingness to be there for our customers is a way of showing them that we care about them as individuals. The relationship of trust that we have developed with them can now start, in a virtual manner, and continue in a real manner, without any constraint on time or place," he said in the brand's release. Consumers in the US can now access the Hublot Digital Boutique via the brand’s website.